Skype is a video & voice call software. Usually, it is used to exchange image, video, doc or any others files. Skype also permit to make a group call. It is comfortable for all version of Windows OS, Linux, MAC OS, Android phones or tablets. Hopefully, your problem will be solved by following above process. Feel to contact us If doesn’t solve. Skype users can communicate through voice chat or instant messaging. It also allows mobile phone calls. It has a great option, it allows to edit the previous message that you sent wrongly. During voice call, they can also share their screen. The users can use this app in Computer or phone or tablets at a time. 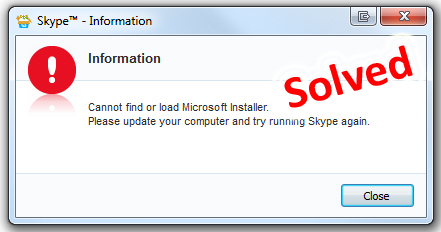 Skype was released only windows version when first released. Later, released a version for windows phone. Skype was appealed primarily to be a secure communication. Security services hidden from users and can’t be disabled encryption option. Skype supports different languages like English, French, and Nepali etc. You can use one of those; here I will use Refuse software. You will also need ISO file of Windows 10, Windows 8, or Windows 7, which you want... If you don’t have ISO file don’t worry about that. select ISO file, select ISO of Windows 7, 8 or 10, which you want. It may take 10 to 20 minutes to complete bootable process. Let’s check the USB drive, whether it is bootable properly or not. Just remove your USB drive and insert again... you will see that USB drive icon will be changed. Now USB is ready to use. 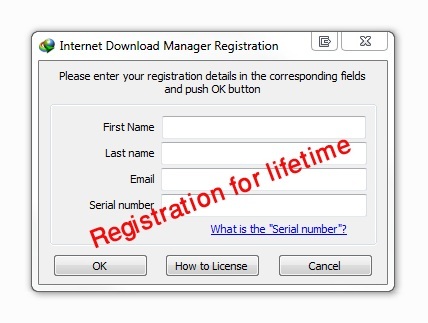 This article has shown how to activate Internet Download Manager without IDM Serial Number or product key. Internet Download Manager is the best download manager. Internet Download Manager also known as IDM is a download manager. It supports MS Operating System. Its features different from other downloader. It is faster because it divides download into multiple steams. But it comes with only 30-days for trial version. After 30 days you need to registration the IDM. 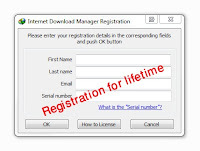 Sometimes you need to update the Internet Download Manager, if you update the IDM, you may get en error “Internet download manger registered with counterfeit serial number or serial number has been blocked”. Doesn’t worry about that just follow me? Download the Internet download manager zip file with activator. Extract the zip file or just open it. Install the latest Internet download manager, if you did not install previously and then run the activator. >> Enter your first name and last name. >> You will receive the message “File updated successful, Bugs removed”. Now you can check activation status. >> click on Registration option, it has been already disabled. How to Speed Up Windows 10. These tips will help you improve performance on windows 10. If you want to make faster computer it’s possible just follow the below tips that helps to improve Windows 10 performance. Several programs are automatically run at startup, so that user uses that program instantly available when user needs those. It has bad effect; windows can actually slow down. You can stop unused program some of these. Some Apps running on Windows 10 background are without user’s interaction. But Most of those are no needed; a few are needed to use Windows 10 running properly. It may takes slow down you pc if you don’t use these apps regularly. Let’s disable Windows 10 background Apps that are not necessary. Turn OFF apps which are not needed to regular use. Transparency effects can add unnecessary effects for the special effects in taskbar and all other window-bar. If you want that classic solid look, turn off the transparency effects, and increase your pc performance. Disk Cleanup reduces unused files from your computer, which helps your PC run faster. Disk Cleanup deletes temporary files, system files; empty the Recycle Bin that longer needed. >> select all checkbox, if some of are not selected. It may take some times to complete. Hopefully, PC performance will be faster than before. >> search with “Run” in windows search box. >> type “GPEDIT.MSC”, and then click OK.
>> In the Network and Sharing window, Look to the left side of the window, Select Change Adapter Settings. >> Select network, right click on it and select properties. >> find Internet Protocol Version 4, and double click on it. Enter 8.8.8.8 in the Preferred DNS Server. Enter 8.8.4.4 in the Alternate DNS Server. click on OK and close all other open windows. Now Your internet speed will increase up to 20% faster than before. By these following steps you can take a screenshot full screen, a specific window, or any section of screen. Press "Print Screen" key for desktop PC. Open paint to save the screenshot. >> search with “PAINT” in the windows search box. >> press Ctrl key + V or click Past. >> click on File menu and then save as. >> click dropdown right side of New option. Rectangular Snip : You can select particular section of the screen using dragging the cursor. 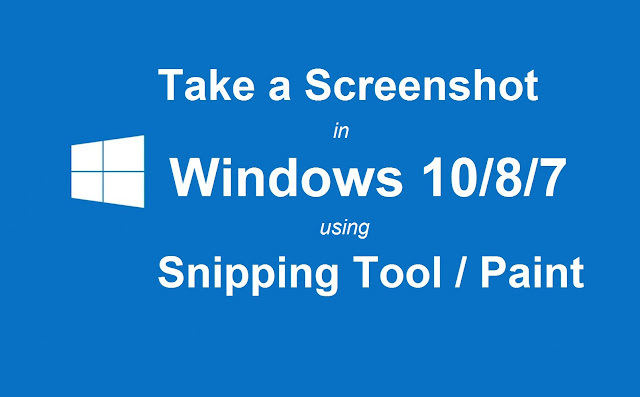 Window Snip : It is used to select a window, such as a dialog box or Taskbar that you want to capture. >> select particular section using dragging the cursor. >> click save to save the screenshot. If your PC seems slow, you can revive its performance by following few steps, here i will show, few essential tips that can help speed up Windows 7 performance on laptops or computers. This utility will delete junk files on your hard disk. For some users, this may lead to increased performance. Open File Explorer> select C drive, right click on it, and select Properties> click on Disk Cleanup. The utility will need to calculate what files are junk, and this process can take several minutes. After the utility is finished loading, select which files you wish to remove. Disk Cleanup provides a description for each file type that you select. Step 2: Defragment the hard drive. As files are moved around, installed, and deleted, they leave behind fragments that can slow down your computer’s ability to access your hard drive. Defragging is typically set to run on a schedule by default, but you can run it manually too. Go to Start > All Programs > Accessories > System Tools > Disk Defragment. If the number is above 10%, you should defragment the disk. This is the most useful technique to Improve Performance. Step 4: Run a reputable antivirus program. The best way to combat viruses is to prevent them. There are several free and trusted antivirus programs available online. Your antivirus program should be running whenever your computer is connected to the internet. Regularly scans your PC to help keep it safe. If you want to set your own scan schedule: Open your antivirus. Step 5: Remove unnecessary programs from startup. Many programs will install extensions that start up with your computer. They are designed to provide quick access to that program, but too many can significantly increase your startup time. Click start button>> search with “msconfig” click on it or press Enter. Click the Startup tab on the System Configuration main window. It is likely that this list contains a number of programs you may not have even realized were running on your computer during startup, or even at all. Uncheck the programs you don't need and click OK.
Uninstall unused programs. Besides taking up hard disk space, old programs may still be running processes in the back, even if you never use them. If you don’t intend to use these programs, remove them to free up space. Defragging PC is the best way to increase PC's performance. There are two methods. You can use Windows 10 internal tool to automatically defragmentation you PC. There are many 3rd party tools that you can use or you can do it manually. Defragging increase files load times on your hard drive. Windows save files as the fragment on the whole disk. Windows collect all part while running a program. It takes more times to collect all data at once. Defragmentation rearranges all data that help to reduce time to collect data. Defragging also improves performance of your PC. If you use SSD hard drive, no need to defrag your PC. It has a built-in function that already rearranges all data. It is so faster than other hard drives. Defragging Windows 10 PC rearranges fragmented all files on the hard drive that optimizes and reduce the amount of disk space and improve PC performance. If you defrag the hard drive all files fragments are rearranged to contiguous clusters. As a result, it easy to read the files on the hard drive and the computer runs faster. It’s ok to defrag only C drive. If you face long load time, you can also defrag all drive in the same process. Most of the times, all files are made fragmentation. It may take you PC slow down due to it checks overall place on the hard drive to collect all necessary pieces. To make faster your PC or run faster use the default tool in Windows for defragging. This process also works for Windows 8 and Windows 7. Sometimes we noticed that our files or folders are shown as a shortcut in USB drive, PC or Pendrive. And main files are hidden, usually, we can’t use it. It’s caused by one type of Virus and this virus may spread to another PC via one USB to another USB or memory cards or it may Bluetooth. You can’t remove it by using anti-virus. As a result, the user can’t see the mail file or folder and can’t use that file when their time of need. I think most of the people faced this problem and could not find any way to remove the files to use. I am also one of them who faced this problem. After then I was looking for a solution and ask friends to find a solution but most of were failed to give any tactics. I started to find another way on the internet and some blog site. I got many solutions to remove shortcut virus from Pendrive or PC. There are many tactics. Some tactics were complex and some of are easy. Some applications allow removing shortcut virus but you need to install the software first. The user doesn’t like this method. 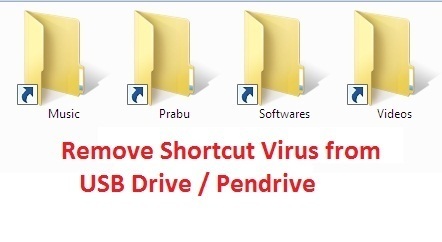 Today I will share the easiest way to remove shortcut virus from USB drive. There are available different methods to remove shortcut virus, First Method is using CMD and 2nd Method is using Software. Before you going to use a method, I highly recommend you to try the first method. It is very simple and easy. 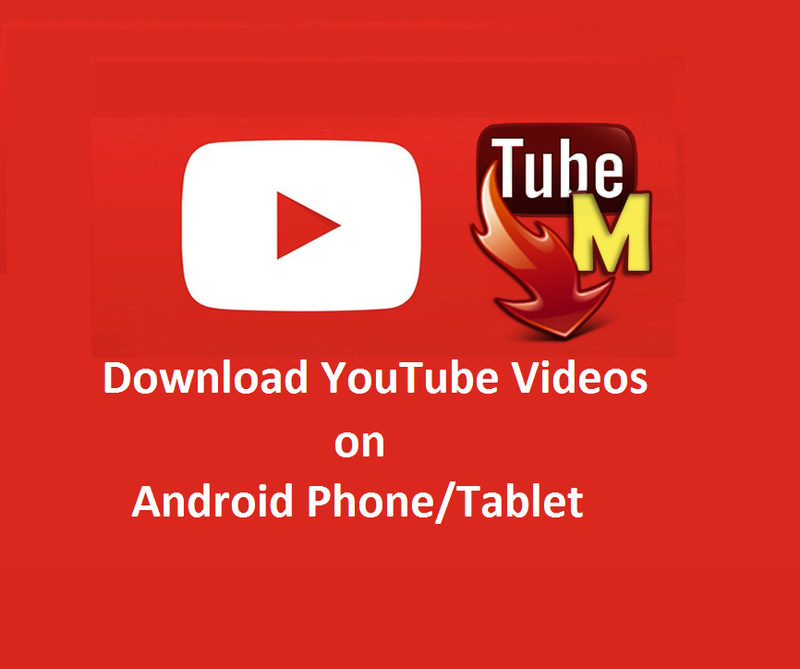 A number of fee apps are used to download YouTube videos to Android phone/Tablet. Also mention that YouTube app lets you to save the videos to play Offline, but this option is not available for all videos. Here we will introduce easy YouTube videos downloader. 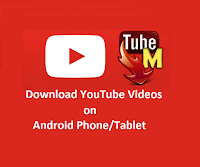 TubeMate is an android app; it is used to download YouTube videos directly. It also allows make favorite videos on devise or SD cards. It is easy to use; interface is user friendly and fast downloader. Make sure “Unknown Sources” option is enabled to allow installation of apps which is downloaded from unknown sources. After completing above process you will able to download YouTube videos. In this app you just need to search a video with video name which you want to download in the search bar of the app and select the video to play and then press the green button top of the screen. After clicking on green button you will see message “Parsing Video Information”. And after that, multiple video resolution will be appeared ex. 1920x1080, 1280x720. Select one of those options which you want to download and click Download. The download will be started and after completing download you will receive a notification. Downloaded videos will be stored in your device by default SD card, you can also set it on your Phone storage. You can also see the videos on this app. To see Downloaded videos click top right corner of the app, here you will see Download List option, click on it. This app also allows creating playlist and sharing the videos. And downloaded video automatically goes to your video player. TubMate is the best YouTube video Downloader.